After being teased for month, the co-op beta for Stardew Valley is now available on the PC via Steam. Follow the instructions provided below to opt-in to the beta and get to farming with your buddies! ~/.config/StardewValley/Saves on Mac and Linux. Additionally, the beta will not work with any mods you may have, so you should remove those as well. Once you've got the beta update downloaded and installed, you can then use an existing save/farm and invite friends to it, or start a new one. There are some very specific instructions for how to setup the co-op in-game, so I recommend reading through this blog post to see how to get things going. As this is a beta, bugs/crashes should be expected, and that post also has a way for you to report those back to the developer so they can be fixed. The co-op update supports up to four players total, either online, via LAN, or a mix of the two. 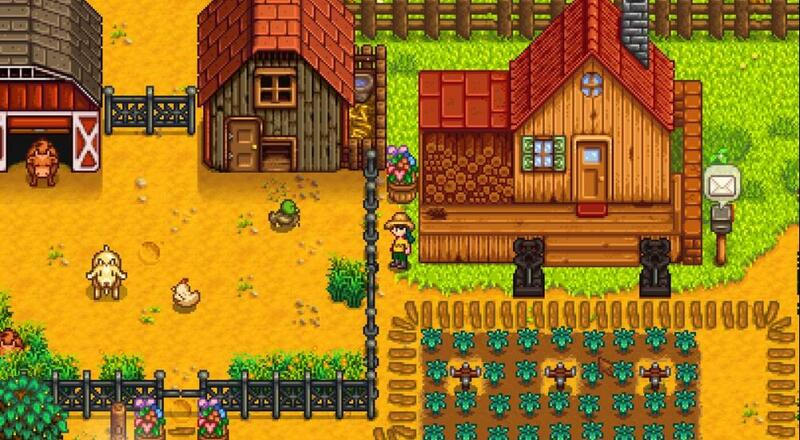 The farm itself, money, and any world updates are shared across all players, while player inventory, NPC relationships, and skills are individual. No word on when this update will get pushed into the stable version of the game, but progress is certainly being made! Page created in 1.0181 seconds.